Donations in Sue’s memory may be made to Central Okanagan Hospice House or BC Cancer – Kelowna. THIS SERVICE WILL BE LIVESTREAMED/BROADCAST ON SATURDAY, JANUARY 26, 2019 AT 1:00 PM. 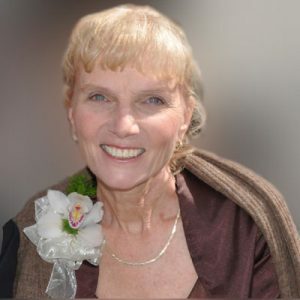 The service for GULENCHYN, Susan (Sue) Linda is scheduled for Saturday, January 26, 2019 at 1:00 pm. Below you will find the map for the service location and the contact information should you have any questions. Sue has been my friend for over 50 years. I met her when my good friend Ken started dating Sue in their teens. They eventually married and thats when our couple friendship unfolded. I have had the pleasure to be a close friend and shared many adventures and raised our children together. In my 50 years of knowing Sue, I learned the definition of a true friend; thoughtful, authentic, kind, loving and adventurous. When she asked how you were doing, she was truly listening with her ears and her heart with compassion and was a great sounding board. She was transparent, you knew how she felt about current events about her views and her goals. She was steadfast and confident in her vision for a honest and happy life for her family and friend’s. She always welcomed you into her home and always had a meal prepared for company. We explored many adventures together including cycling the San Juan Islands, touring the Oregon Coast and many BC road trips. As we turned to our 30’s, Sue yearned for a family and she received the gifts of two lovely sons Colin and Thomas, who called me Auntie. I was also blessed with twins, who called Sue, Auntie. We raised our children together and shared motherly concerns and wishes for our children. As our families grew, Sue and Ken found property up at Idabel Lake, their enthusiasm was so infectious we also bought a recreational property on the lake. I have so many fond memories of our times together up at the Lake including canoeing, pot luck suppers, kayaking, hiking, cross country skiing and swimming. Sue was always up for new adventures and we shared many multi-day cycling tours, back packing and backcountry skiing camping tours with our families. We backpacked into Mount Robson, Lake O’Hara, Manning Park and Cathedral Lakes. She mentioned once that she wondered why we spent all this effort packing into these areas when we could easily get to the top by helicopter. So, thats what we did on our next adventure; we hired a helicopter to take us up to Mount Assiniboine where we had a short pack into the campsite and explored the top of the mountain before making our decent with back packs. Our shared memories are special and I will remember them fondly.